GIVEAWAY IS NOW CLOSED – THANKS TO ALL WHO ENTERED! It runs from today until Sunday, October 21st 2012 and it is a chance for me to share with you a Fantasy book. I have chosen to give away Hush, Hush by Becca Fitzpatrick (new hardcover, UK edition). The giveaway is international. 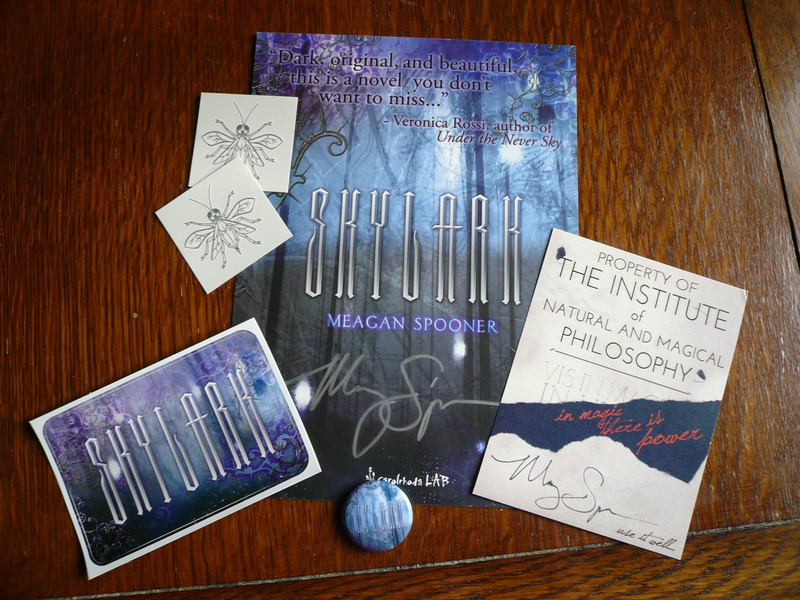 I’m also giving away a beautiful Skylark Swag! Skylark is a Fantasy book by Meagan Spooner. I interviewed Meagan last week (see my post here) and afterwards she sent me (signed!) goodies in the mail. To enter please fill in the contact form below with your name and email. If you follow my blog by email, WordPress or RSS feed, if you are a Twitter follower , if you like my page on Facebook or if you tweet about the giveaway, this will grant you an extra entry. Mention it below. This is a blog hop! Visit the other giveaways here. This entry was posted in Uncategorized and tagged Becca Fitzpatrick, book giveaway, EM Castellan, fantasy, Giveaway, Hush Hush, Meagan Spooner, Skylark, swag. Great hop, thank you for the giveaway!